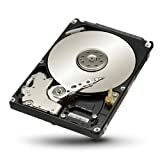 A hard disk is a non removable drive which provides memory and data storage space for computers. The storage capacity of a hard disk has direct impact on the speed of a game. Hard disc is where your game floats while you play it. Less memory means low frames per second while ample amount of memory boosts up the loading speed of the game. Games such as Call of Duty, Metal Gear, Assassin Creed, Fry Cry, etc. requires advance and hi-tech resources that support the game in running smoothly and at a high speed. A good hard disc can aid you with the fulfillment of such requirements. Basically there are two types of hard disks namely SSD (solid state drive) and HDD (hard disk drive). SSD is considered better in a number of aspects as compared to HDD, but HDD is cheaper. Hard Disks are the media to store data on your PC or laptop. The increasing file sizes of movies, music etc. with the latest high definition formats force the users to increase their storage capabilities. Most of the tech-savvy users have several terabytes of hard disc capacity. A wide variety of hard discs give the users a great number of choices when selecting a hard disc for an extended storage capacity. An internal HDD is installed inside a PC or a laptop. The hard disc is the primary storage device in case there is a space for a single hard disc. It might be a secondary hard disc if there is a space for multiple hard disc drives. You can add hard discs to a PC depending upon the number of slots in your PC. An external HDD is a secondary hard disc device which can be plugged in to the USB port of the PC. These hard disc drives are usually powered by an external power source. External hard disc drive is a great option for extending the storage capacity of the PC without any experimentation of the PC itself. These are external hard disc drives that do not require an external power source and run on the power they get from the USB port. 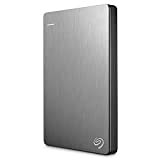 These hard disc drives are same as external hard disc drives, the only difference they have is there is no need of external power and there is ample shock protection to withstand the constant transportation and handling. There are network hard disc drives that are external hard disc drives with network card. They can connect with networks both wired and wireless depending on their network card. The advantage they have is that you can access the disc from all the computers on the network. There are hard disc drives with USB 2.0 and USB 3.0 connectivity ports. USB 3.0 hard discs are the latest hard disc types offering a much faster data transfer rates than its predecessor. The USB 3.0 gives at least five times more speed than the USB 2.0 during data transfers. 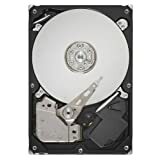 There are hard discs as small as 32 GB to as large as 6TB Although 32 GB hard discs are not easily available in the market because of their low demand and 6 TB hard discs are not easily available because of their extremely high prices. The users can select one of the popular hard disc capacities. At present 1 TB and 2TB are the most popular storage capacities in the market. The read write speed of the hard disc depends on the RPM value. The more are the RPM, the faster is the hard disc. The hard discs come from 1200 RPM to 15000 RPM. 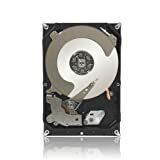 Although for personal use there are two popular variants 5400 RPM and 7200 RPM HDD’s. The 7200 RPM is 33% faster than the 5400 variant. 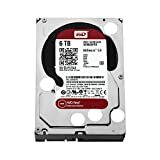 Hard disc is an item manufactured by a wide variety of vendors around the world. 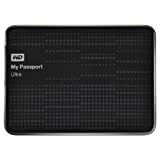 Although it is recommended to stick to the popular brands like Seagate, Western Digital, Toshiba, etc. Never buy from an untrusted brand and even in popular brand always choose a brand which offers the most warranty. These are the various parameters on which you will have to choose your enterprise hard disc drive. There are a great number of choices and options. 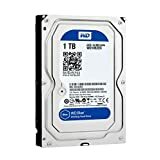 It is recommended to buy the most popular hard disc drives in the market which also has good performance reviews. Buying the latest will cost you more and buying an outdated version will be inefficient. So, decide your requirements and purchase the best selling hard drive based on your requirements. The form factor of this product is 3.5 inch with 64 MB cache. It is a 7200RPM hard drive. The approximate storage capacity of this drive is 100,000 photographs, 5300 hours music, 320 hours videos and 80 hours of movies. The manufacturer provides a warranty of two years for this product. • 3.5 inch form factor provides ample amount of storage space. • 64 MB cache is the best you can demand. • Warranty period is fairly enough. • Operating temperature does not raise much. • Possibility of crashing before the expected time span. It is a 3.5 inch form factor drive and its connection interface is SATA. 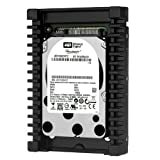 The storage capacity of this drive is 600 GB with an RPM of 1000 and 32 MB cache. The manufacturer of this disk provides a huge warranty of 5 years. • Usage of SATA III connection interface boosts up the communication throughout the system. • 3.5 inch form factor provides plenty of storage space. • 5 years limited warranty is a great deal. • Very reliable and durable. • Built in heat sink keeps the drive cool. • It has an average cache of 32 MB. A 64 Mb variant could have been better. • It is a bit noisy. Investing in a good and appropriate hard disk specifically for the purpose of gaming can be a bit complex task. You have to keep in mind a number of factors that could affect your choice. The drive you own must have speed, stability, cost efficiency and durability. One may surely not want to invest a hefty sum of money in buying a hard disk that turns out to be a complete disaster. As far as gaming is concerned SSD is surely a better option if in case you want to optimize the potential and performance of your computer system. Lastly, consider every aspect and information that plays a role in your purchase if you want to own a suitable drive according to your need.